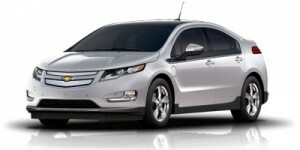 If a hybrid is in your sights as a way to save on fuel and contribute less pollution to the environment, you may be interested in the following best hybrid deals and incentives, December 2012. Keep in mind that these deals on hybrid vehicles are all good through January 2, 2013, with the exception of some Toyota deals which expire January 7, 2013. 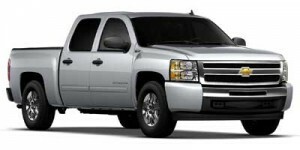 2012 Chevrolet Silverado 1500 Hybrid – Purchase the full-size 2013 Chevy Silverado 1500 Hybrid and get zero-percent financing for up to 60 months plus $1,000 cash or take home $4,000 cash back. 2012 Chevrolet Tahoe Hybrid – Zero-percent financing for up to 72 months plus $1,000 bonus cash, or get $3,000 cash back on the full-size 2012 Chevy Tahoe Hybrid SUV. 2013 Chevrolet Volt – Lease the extended-range electric 2013 Chevrolet Volt midsize sedan for 36 months at $299 per month and $2,749 due at signing. 2012 Ford Fusion Hybrid – Ford is offering up to $4,250 cash or zero-percent financing for 60 months plus $1,750 cash back (Northeast, Southwest) on the midsize 2012 Fusion Hybrid. In the Southeast, West and Northwest, the purchase deal is up to $3,250cash or zero-percent financing for 60 months plus $1,750 cash back. 2012 GMC Sierra 1500 Hybrid – Get zero-percent financing for 60 months plus $1,000 bonus cash, or a total cash allowance of $4,000. 2012 GMC Yukon Hybrid – The full-size 2012 GMC Yukon Hybrid comes with a purchase deal of zero-percent financing for 72 months plus $1,000 bonus cash or $3,000 total cash allowance. 2012 Honda Civic Hybrid – Purchase deal on the compact 2012 Honda Civic Hybrid is 0.9 percent financing for 24 to 36 months. On the leasing side, choose from two 36-month lease terms: $199 per month with $2,799 due at signing, or $270 per month with $0 down Payment and $0 first month’s payment. 2012 Hyundai Sonata Hybrid – Go upscale with the midsize 2012 Hyundai Sonata Hybrid and get $1,500 cash plus zero-percent financing for 60 months or 0.9 percent for 72 months on a purchase. Care to lease instead? Here the 36-month lease will cost $309 per month with $0 due at signing. 2012 Lexus CT200h – Regional lease offers range from $309 per month for 36 months with $2,584 due at signing in the Midwest and West, to $319 per month for 36 months and $4,019 due at signing in the Southeast. 2013 Lexus CT200h – Three regional 36-month lease deals with $0 first month’s payment: $239 per month with $3,350 due at signing (Midwest, West); $359 per month with $2,999 due at signing (Mountain states, Northwest), and $339 per month with $2,999 due at signing (Northern, Southern California). 2013 Lexus ES Hybrid – Regional leases range from $459 per month for 27 months with $4,184 due at signing (New England, New York, Mid-Atlantic) to $499 per month for 36 months with $3,899 due upon signing (Northern, Southern California). 2012 Toyota Camry Hybrid – Regional lease deals range from $219 per month for 24 months with $2,799 due at signing (New England) to $329 per month for 24 months with $1,179 due at signing plus $1,000 subvention cash (Gulf States). 2012 Toyota Prius – Purchase deals on the Prius Plug-in Hybrid include $4,000 bonus cash (New York) and up to $5,000 finance cash (Mid-Atlantic), both plus zero-percent financing for 60 months. Deals expire January 2, 2013. Prius Plug-in Hybrid deals in other regions (expiring January 7, 2013) range from zero-percent financing for 60 months (Northwest) to $500 bonus cash plus zero-percent financing for 60 months (Northern California). Lease deals vary by region, ranging from $269 per month for 36 months with $1,799 due at signing (New England), to $459 for 36 months with $3,499 due at signing plus $1,000 lease cash (Southern California). 2012 Toyota Prius c – Lease for $229 per month for 36 months with $1,999 due at signing (Northern California), $2,999 in Southern California. Or, lease for 36 months at $309 per month with $0 due at signing (Southern California), or $199 per month for 39 months with $2,598 due at signing (also in Southern California). 2012 Toyota Prius v – Lease the Prius v for $279 per month in three regions: for 39 months with $2,678 payable on signing (Southeast); and 36 months in Northern and Southern California with $2,499 due at signing. In Southern California, lease for 36 months at $349 per month with $0 due at signing.